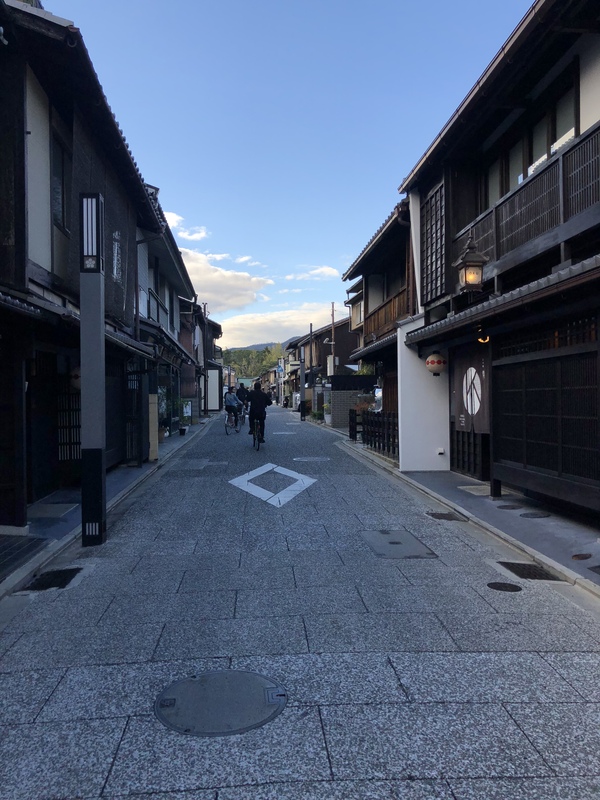 Strolling around the Kitano area? 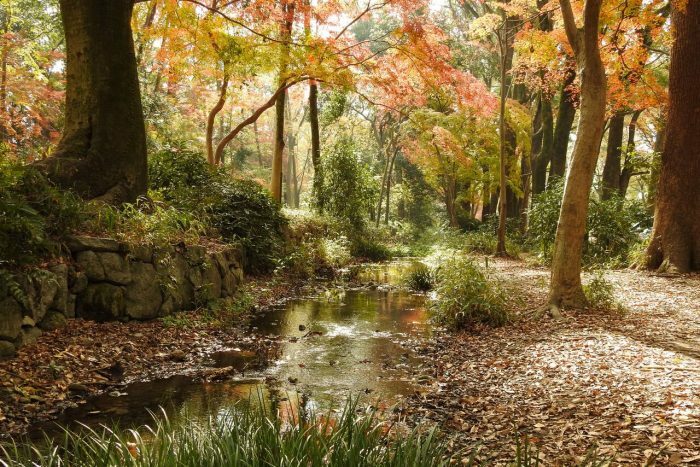 | Why KYOTO? 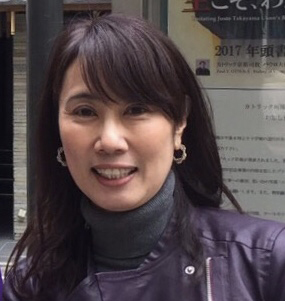 Nov 30,2018 Strolling around the Kitano area? “Click, click”! The sound gives me a nostalgic feeling. 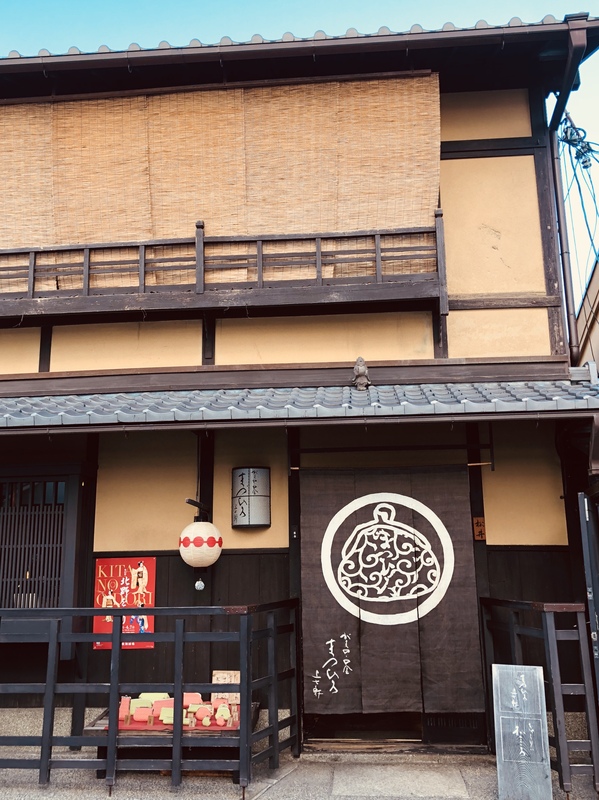 We are at an 80year old former tea house in the Kitano area, the oldest entertainment district in Kyoto. 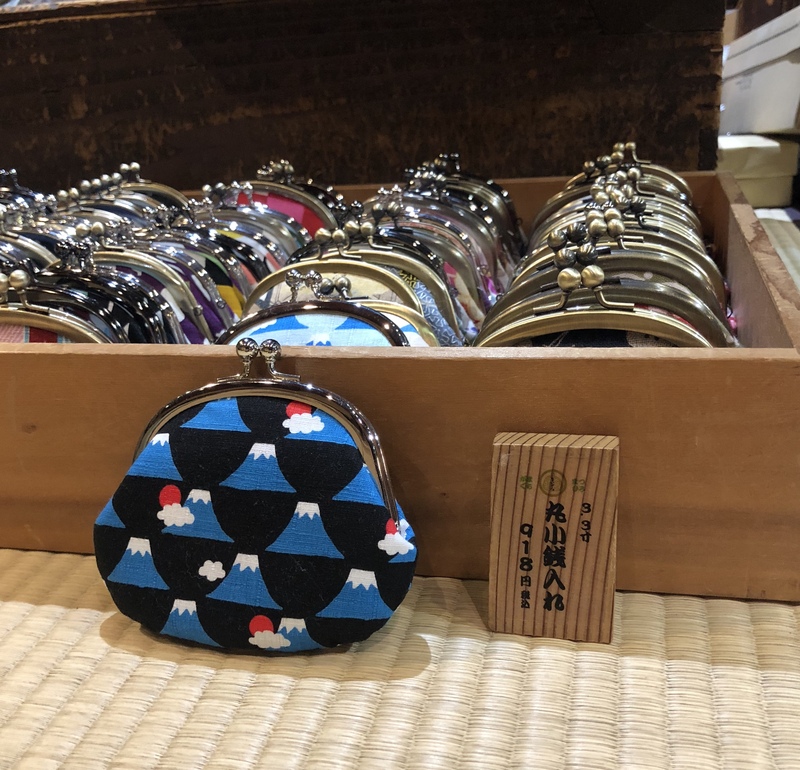 MATSUHIRO is a specialty shop for Gamaguchi, which are Japanese coin purses with a clasp on a metal frame. The owner, Mr. Tatsuhiko Matsui carefully checks the touch of the clasp of a Gamaguchi purse before he wraps it for a costumer. “Click, click”!! Not too tight, not too loose. He is searching to find the most exquisite feeling. 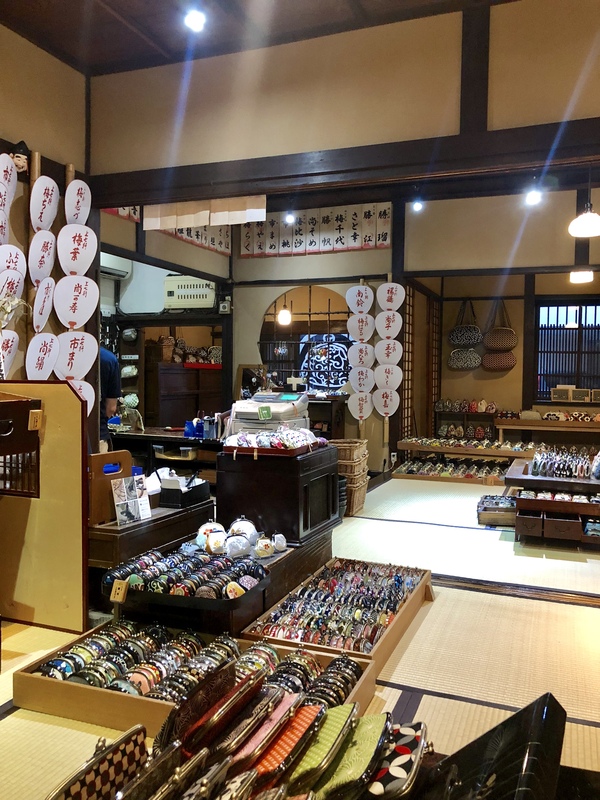 The building was originally used as a Geiko or Maiko entertainment house until the 1980’s, when it was renovated to make this lovely shop. 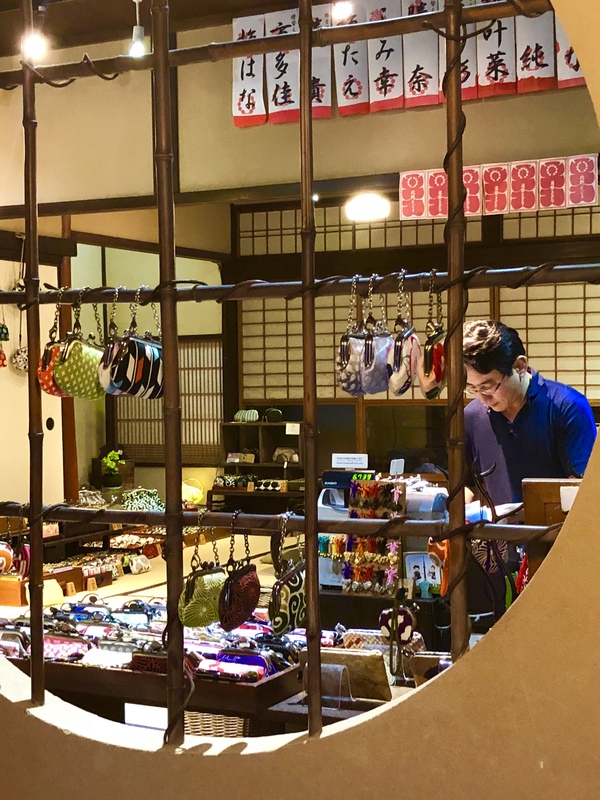 Once you pass through the shop entrance curtain, you will see the full range of Gamaguchi purses displayed in old but beautiful cabinets. 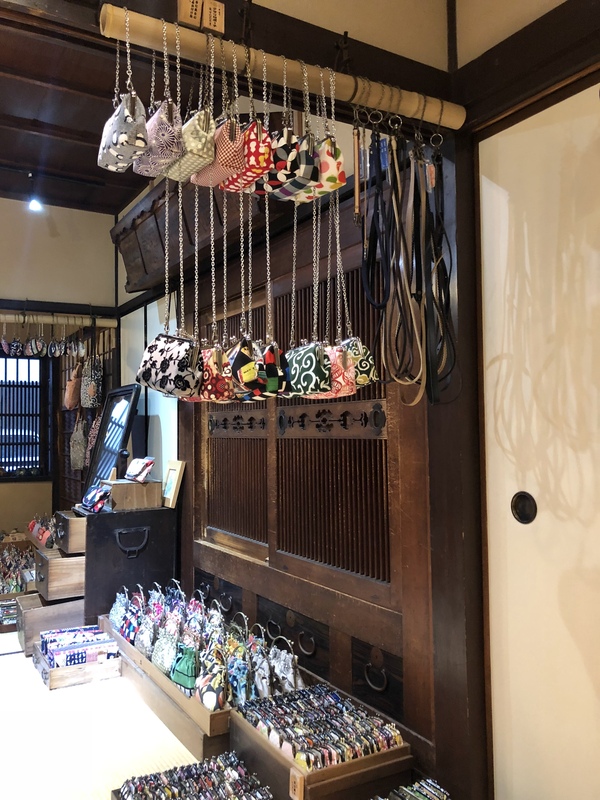 When we Japanese think about Gamaguchi purses, we have an image of when our mothers used to go shopping for groceries with their daily use Gamaguchi purse in their apron pockets. But in fact, Gamaguchi were introduced to Japan in the late 19th century. It is said that their origin is from the small bags popular in France at that time. In Japanese, the word Gamaguchi means ‘Frogs Mouth’. When you open and close the purse, you can see that the clasp resembles a frog’s mouth. MATSUHIRO has Gamaguchi purses in a variety of colors, and designs with traditional or modern patterns. 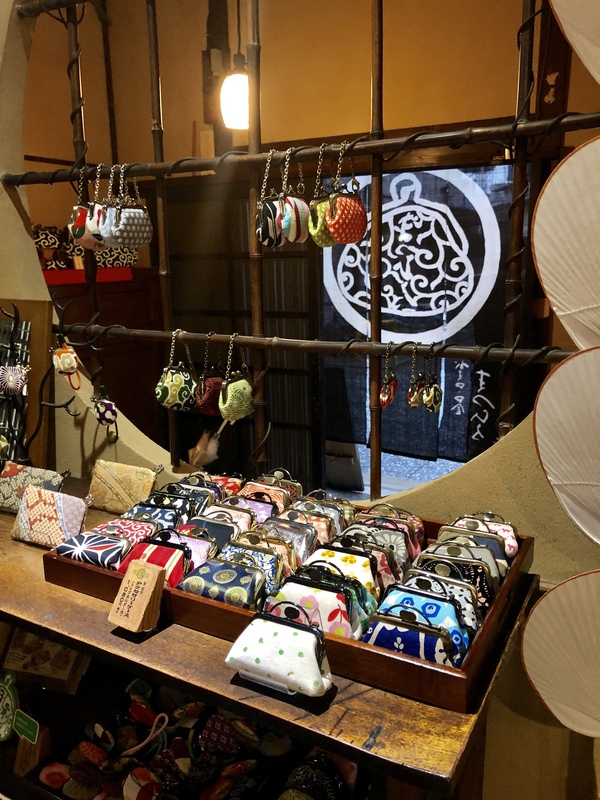 You will find many kinds of Gamaguchi purses for different purpoes, from chic ones to match a dress, to small ones for containing accessories. Their prices range from ¥700. You may be so absorbed by them that you can easily forget the time. Craftsman hand-make them one by one for good usability. Why don’t you come and find your favorite one from the many choices? Closed: Wed., Next business day if Wed. is a public holiday or 25th. People in Kyoto call this shrine, “Kitano-san” or “Tenjin-san”, with affection. There are as many as 12,000 tenmangu shrines in Japan and here is the origin and the main shrine. 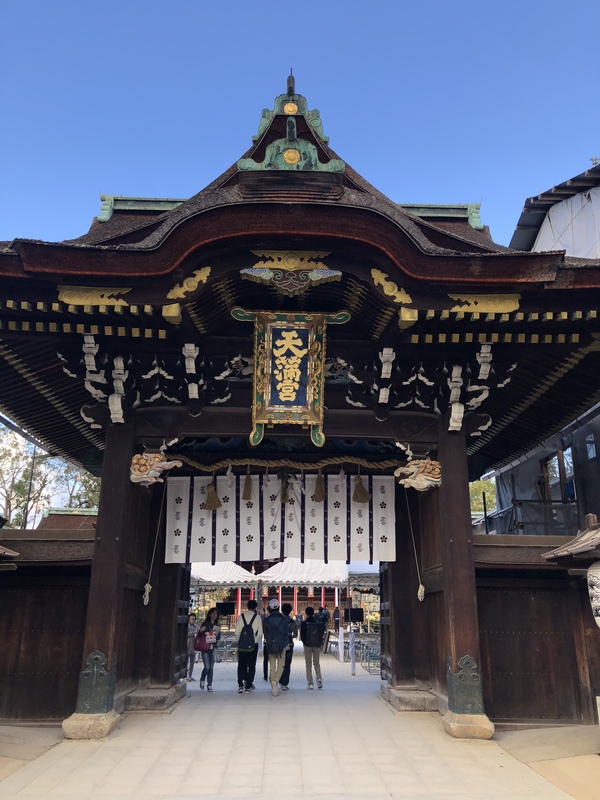 The shrine worships the deity of learning, Sugawara no Michizane, and people from all over Japan visit here and pray for academic achievement or happiness. 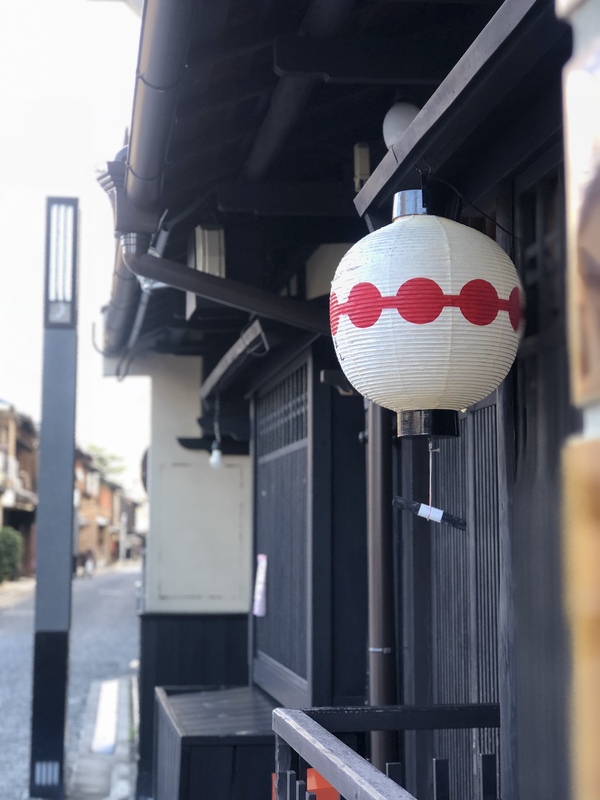 Since the Edo period, this place has not only been used for religious faith, but also as a representative place for culture. The shrine holds a monthly flea market and various events, so it draws a lot of attention. 日本／京都市認定通訳ガイド／ 歴史のある古い物が大好き。 そして新しいものを生み出す京都の人も。 私と一緒に古くて新しい京都を発見しましょう。ーーー Japan/Interpreter guide certified by Kyoto city/I like historical, old things. 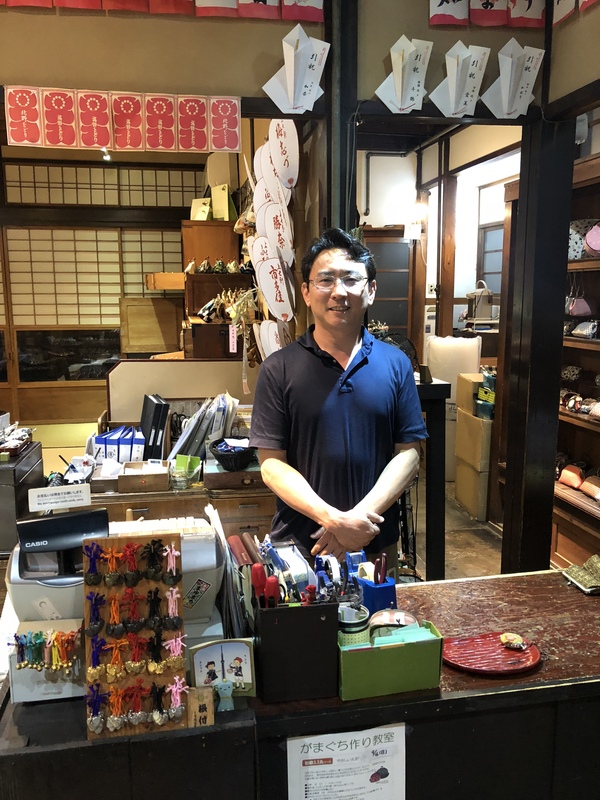 And I also like people in Kyoto who create new culture. 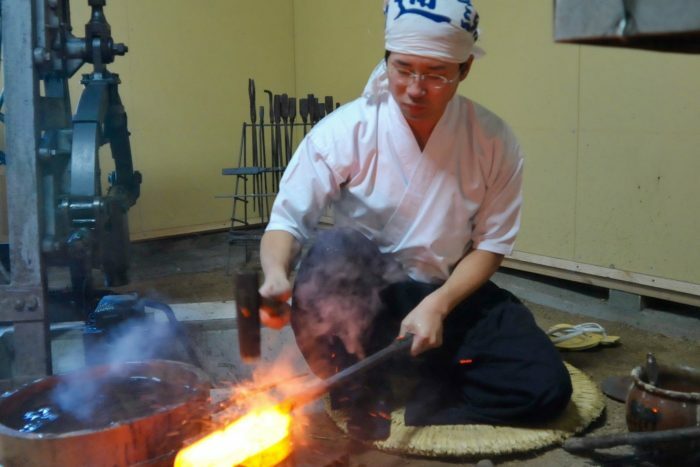 Why don’t you discover traditional but innovative Kyoto with me?